This collection represents some of the most productive oil and table varieties that have been imported into Australia from Spain, Italy, Greece, USA, Israel, France, the former Yugoslavia, North Africa, Tunisia and Chile. 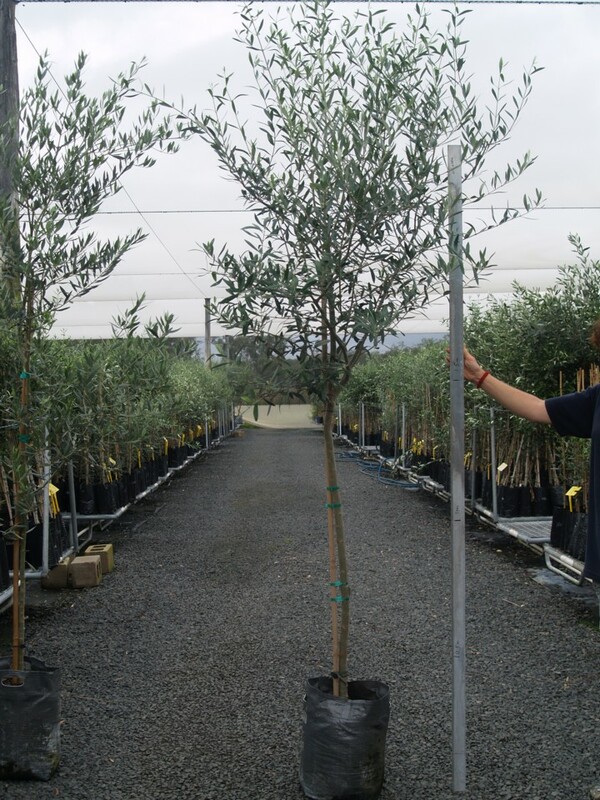 All of our olive trees are produced under the highest standards of nursery hygiene and horticultural practice to ensure that each tree dispatched is of the highest quality. 1. Trees are grown under a balanced nutritional program resulting in vigorous healthy trees that are fully sun hardened and ready to plant all year round in most environments. 2. All media used in production is either sterile or sourced from an NIASA accredited supplier. 3. Tubestock and grove size trees are produced in square pots to prevent root spiralling and to ensure good anchorage and development of the root system in the field. 4. 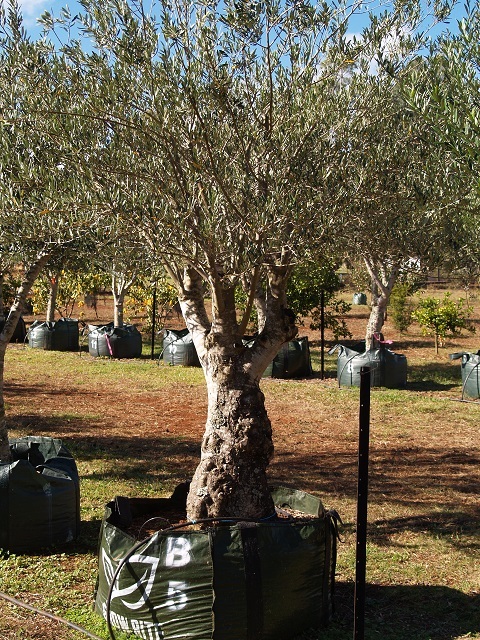 Varietal coding is used so that each olive variety can be clearly identified by the pot. 5. 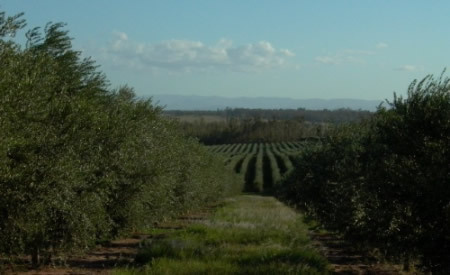 All olive varieties are produced from motherstock varieties that have been verified as true to type using DNA and/or morphological techniques. 6. 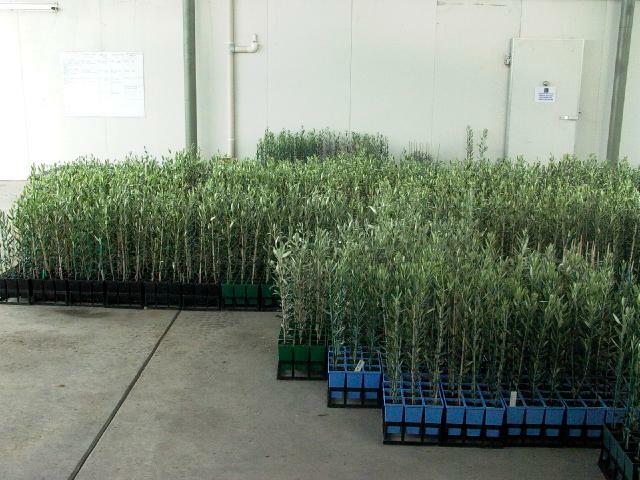 We meet the quarantine requirements of all states and are accredited to export trees to Tasmania and Western Australia. 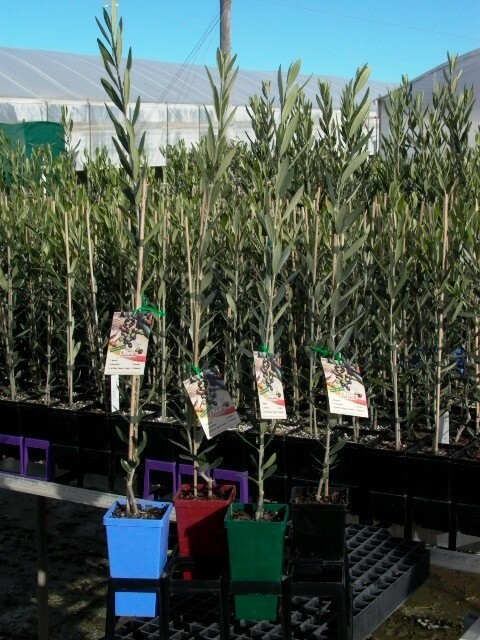 These young starter trees are designed to be potted-on either by growers or nurseries. 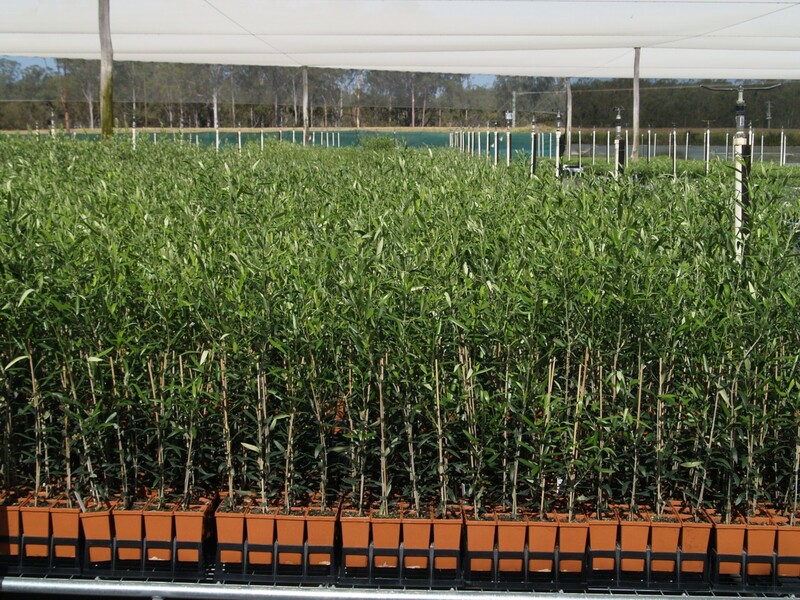 In a 50mm square tube the trees are a minimum of 100mm tall and are 4-5 months old. 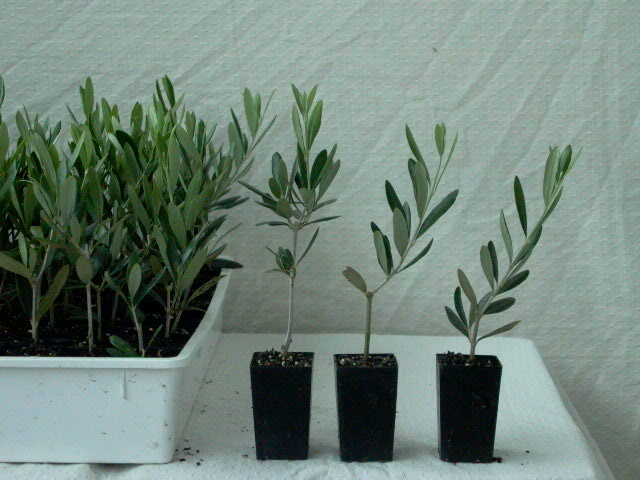 We can now supply small inexpensive olive trees for Weddings, Christenings, Baby Dedications and Functions. 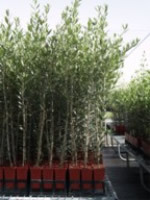 Ideal for traditional Bonbonnieres, olive trees make a lasting keepsake for your guests to cherish forever. In a 90mm square pot. Trees are 400mm to 700mm above the pot and 8-12months old. These young trees are pruned to a single trunk and staked. They are sun hardened and ready to plant in the orchard. In a 5 litre poly planter bag. Minimum tree height is 1200mm above the bag. Trees are staked, and branching and 14-18months old. For retail nursery sales, pictorial variety labels are available. Trees pack 108 per pallet. In a 25 litre planter bag with handles. Tree height is 1800mm- 2000mm above the bag. Trees are staked, and branching and are 2-3yrs old. Trees pack up to 28 per pallet ( double stacked). 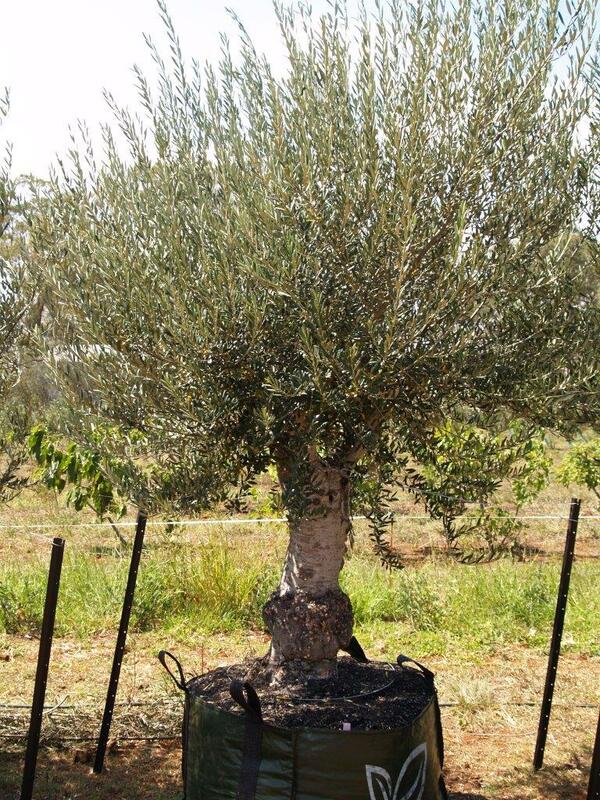 The ex ground olive trees are around 22-25 years old. They have been excavated with a tree spade and transplanted into either a 400L, 200L or 100L woven poly bag. These bagged trees are pruned to around 2.7m so that they can be transported upright and loaded with a forklift. This enables significant savings with transport costs. 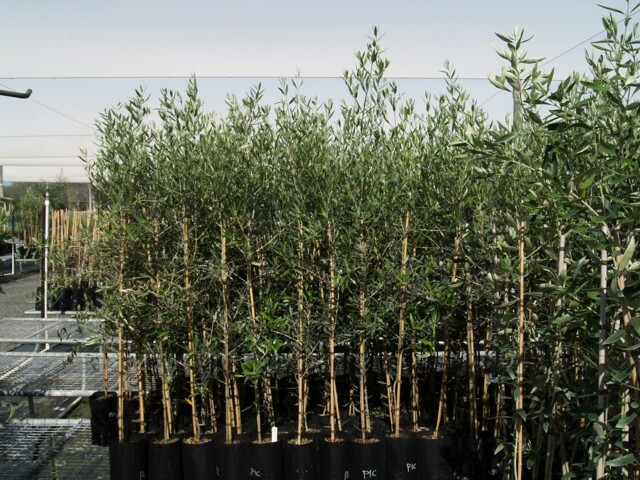 We can also supply mature 6m olive trees with hessian wrapped and caged rootballs. 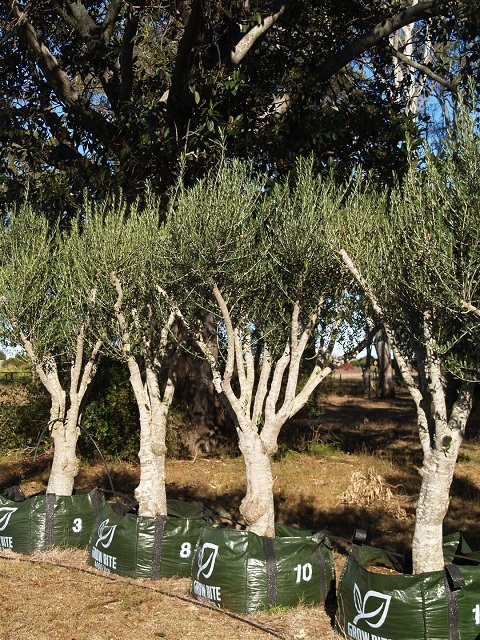 We currently have around 150 old australian olive trees available. Most have attractive gnarly trunks giving the appearance of much older trees. These mature unique trees have a rustic beauty and will make a superb centre piece in garden, courtyard or commercial landscape. They can be planted directly into the ground or a large pot with a capacity of 500L or more. The trees will fruit reliably under suitable conditions. 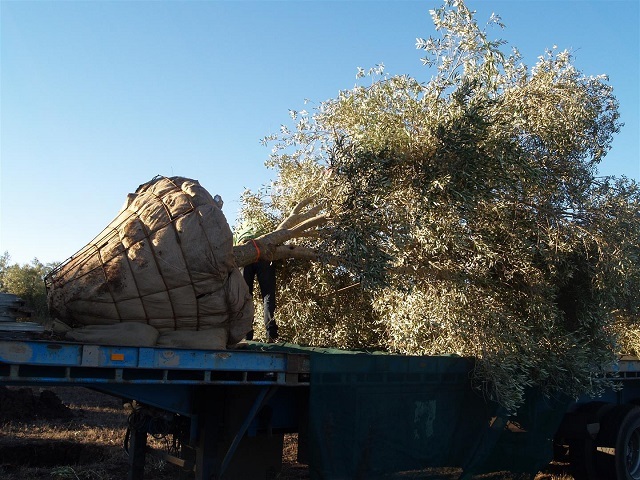 Please visit the mature tree olive page for more information or contact us to discuss your requirements and order a copy of our current advance tree catalogue. 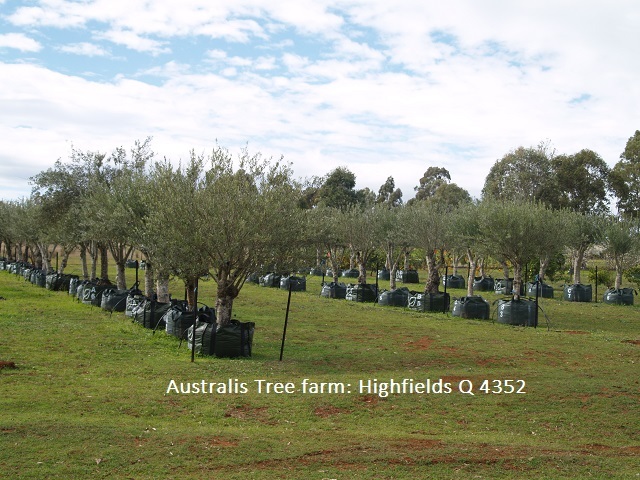 The Australis Tree Farm is located at 432 Meringandan Rd Kleinton (Highfields), QLD 4352. The tree farm is open 6 days per week. Visits are by appointment only Please contact us on 07 4696 8792 if you would like to arrange visit. 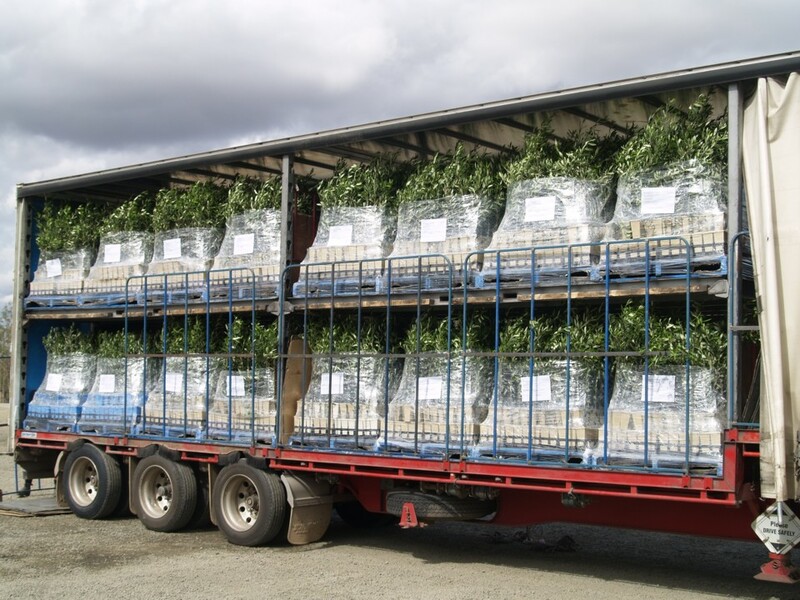 All of our trees are economically delivered by professional freighters to all states of Australia. 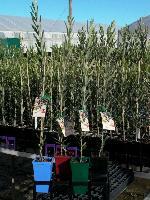 The current freight cost is approximately $0.30 to $2.10 per tree depending on the distance from the nursery. Deliveries are made weekly to NSW, Victoria, Western Australia, ACT, South Australia, Tas and Queensland. We cater for small and large growers and we are happy to sell at wholesale prices to the home gardener/ general public as long as our wholesale minimum quantities are met. Our minimum order per customer is: 80 (1 carton) of the tubestock size, 24 (1 carton) of the 90mm pot size trees, 24 of the 5 Litre bag size trees or 6 of the 25L advanced trees. Please note, when minimum quantities are ordered, freight costs are usually higher per tree. We now offer a mail order service for smaller quantities. Plants are delivered either by Australia Post or courier. As little as one tree can be purchased this way. Please email us or ring for a quote. Alternatively we may be able to advise of a retail stockists in your area. We have stockists in Brisbane, Sydney, Melbourne, Perth, Canberra and Hobart. Please contact us for interstate nursery details. International orders are welcome. We currently export trees to a number of countries including: Japan, Thailand, Nepal, Italy, France, United Arab Emirates, Indonesia and China. Qualified horticultural advice is available on varietal selection, plant nutrition and pest and disease management.